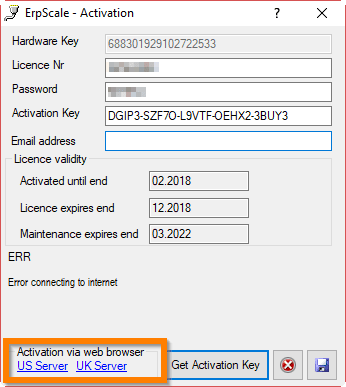 If the PC on which ERP-Scale is installed does not have an Internet connection, automatic activation of the licence will fail. 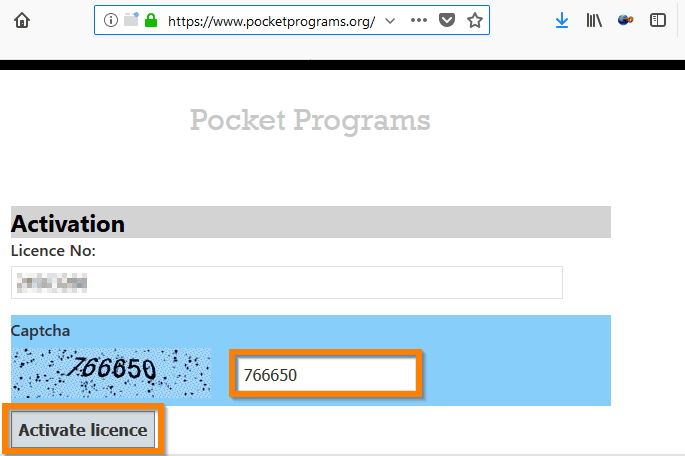 In this case the ERP-Scale licence can be activated using a web browser. At the bottom of the screen are two links for activating via a web browser. Click on the link for the server which is closest to your location. 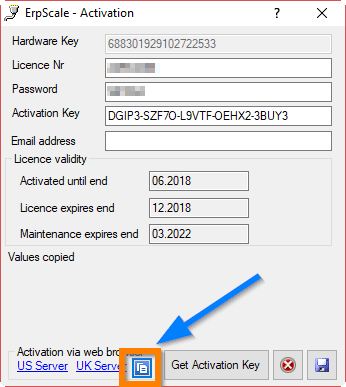 Click on to copy the activation key. If the key has been copied, the button will turn green: . If the browser blocks accessing the clipboard, use CTRL-C to copy the activation key manually. 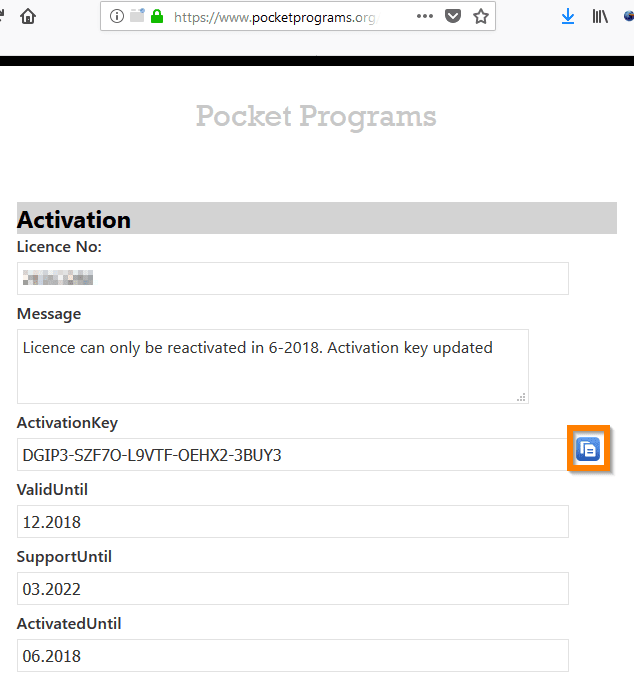 In ERP-Scale, paste the activation key using the button or CTRL-V.